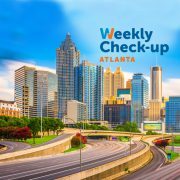 This week, Dr. David Tanner of Atlanta Allergy & Asthma is in studio to discuss food allergies and much more. Dr. Tanner is board certified by both the American Board of Allergy and Immunology and the American Board of Pediatrics. He is a Fellow of the American Academy of Allergy, Asthma and Immunology and the American College of Allergy, Asthma and Immunology. He is active in the Medical Association of Georgia and is a member of the American Medical Association. Dr. Tanner is an Associate Clinical Professor of Medicine in the Department of Allergy and Immunology at Emory University and serves as a volunteer at Grady Hospital’s Allergy and Asthma Clinic. 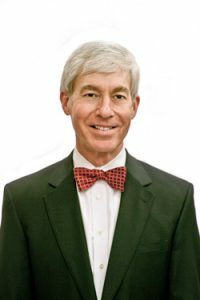 Dr. Tanner is consistently voted one of Atlanta’s top allergists in Atlanta Magazine’s “Top Doctors” issue. Dr. Tanner and his wife Leslie live in Atlanta and have three children. He occupies his leisure time with running, tennis, gardening and spending time in the North Georgia Mountains. Dr. Tanner has been a practicing allergist in Atlanta since 1979. He sees patients at our Buckhead and John’s Creek locations.